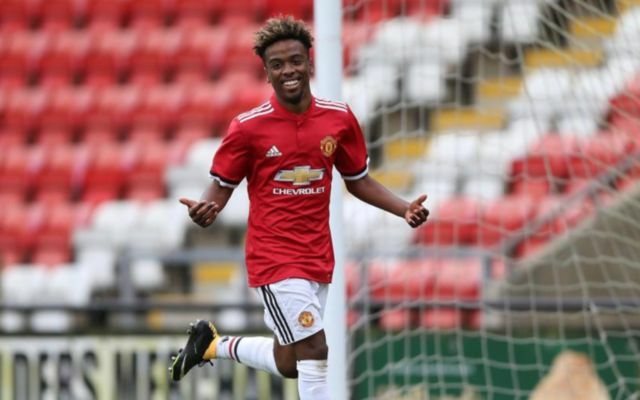 Man Utd evidently rate Angel Gomes very highly as if his reported contract is a reflection of their faith in him, they’re expecting big things from the youngster. The 17-year-old signed his first professional contract on December 13, and although he’s only got one senior appearance to his name, he has been making his mark for club and country at youth level. Having been part of the successful England squad at the U17s World Cup last summer, he’ll hope to kick on with the Red Devils now and continue to develop and make progress in his career. Clearly Man Utd are hopeful that he’ll enjoy a bright and successful future at Old Trafford, as The Sun report that they splashed out on a £17,000-a-week contract, while he could see that rise to £25k-a-week the further into the deal he gets. That’s a lot of money for a youngster with so much still to prove, but if United are confident that they have a special talent on their hands, then ultimately they did what they had to do to protect their interests and ensure that he could turn out to be a major part of their long-term future. His record certainly suggests that he’s a quality young player, scoring 14 goals and providing seven assists in 22 U18 Premier League appearances, while he’s got two goals and two assists in five outings in the UEFA Youth League. Couple that with his influence for the England youth teams, and United may well think they’ve spent the money wisely provided that Gomes shows development and proves that he’s capable of taking his game to the next level and shining for the senior side.